As the site of Buddy Bolden performances and Louis Armstrong's youth, the Eagle Saloon is one of the most important remaining jazz landmarks. 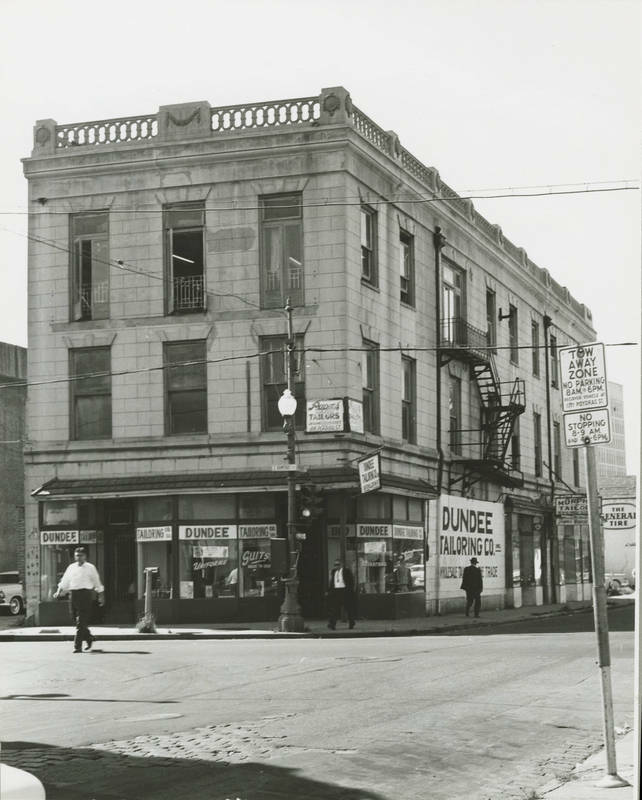 401 South Rampart, known as the Eagle Saloon, anchors this block associated with Louis Armstrong's youth and musical upbringing in this diverse neighborhood of African Americans, Jewish and Chinese immigrants. Louis Armstrong grew up on Perdido Street in the "Back of Town" neighborhood in which businesses stretched along South Rampart. The Eagle Saloon has several important connections to early jazz history. The Odd Fellows and Masonic Hall, an African American fraternal group, leased the top floor and used it for dances where the bands of cornetist Buddy "King" Bolden and violinist John Robicheaux performed in the early 1900s. Bolden, who was institutionalized in 1907 for mental illness, left a huge musical impression on the first generation of jazz musicians. The Odd Fellows lined up for parades on the street,, and the Zulu Social Aid and Pleasure Club began in 1909 in this block of Perdido St.. Louis Armstrong wrote of standing in front of the Zulu Social Club at a young age, hearing the band from the street. On New Year's Eve 1913, an adolescent Louis Armstrong was arrested for shooting a pistol at the corner of Perdido and Rampart Streets in front of the Eagle Saloon. His sentencing required him to attend 18 months at the Colored Waif's Home near City Park, where the structured environment provided his first formal musical training on bugle and cornet, and performance opportunities in parades. Interpretive panels on the street in this block cover the histories of the neighboring Iroquois Theater (413) and Karnofsky House (427) also important to the youth of Louis Armstrong. Continue your tour by heading to the red brick building next door to The Eagle Saloon, the former home of The Iroquois Theater. Louis Armstrong, "Perdidio Street Blues." Eagle Saloon Initiative plans to open a facility for music performance, exhibit space, and music education in 2018. Joseph Cripple , Mindy Jarrett, Charles Chamberlain, “The Eagle Saloon,” New Orleans Historical, accessed April 24, 2019, https://neworleanshistorical.org/items/show/1303.